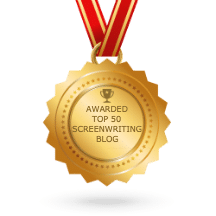 If you have been following my blog or social media updates, you know there is nothing that I enjoy more than sharing my knowledge about scriptwriting with others. That is why I was once again honored to be one of the 100+ world-renowned speakers at this year’s Story Expo, which took place September 11-13 in Los Angeles. 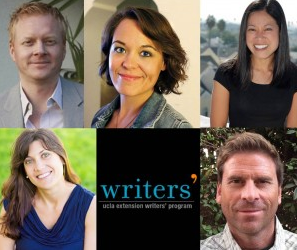 The Expo brings together top speakers, writers, vendors and communicators in one forum to give screenplay writers the technical tools and motivation they need to excel at their chosen profession. For those involved in any facet of writing a movie script, Story Expo is the one conference you must attend. It attracts professional writers from film studios, TV networks, production companies, universities, school districts and writers’ guilds, and grows yearly in popularity, prestige and importance. Attendance this year grew by 33% over 2014, which was already up 28% over 2013’s figures. Writers from over thirty U.S. states and eighteen countries attended, including The Netherlands, England, France, Russia, Germany, Canada, Brazil, Italy, South Africa, Ecuador, Nigeria, and Singapore. In fact, there was an entire class from the Writer’s Guild of South Africa, paid for by the South African government! Derek Christopher, founder and chief driving force behind the Story Expo, has been the go-to guy for the top consultants in the screenwriting industry for over a decade. By organizing major events, seminars, and speaking engagements, Derek hopes to open the exciting world of screenplay writing to many more people. 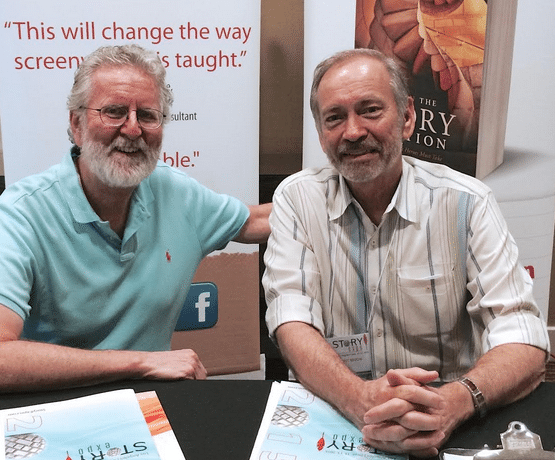 Michael Hauge: Spoke on anatomy of a screenplay, love stories and character arc, and Hollywood secrets. Michael is a story and script consultant, author and lecturer who likes to work with writers and filmmakers on their screenplays, novels, movies and television projects. He has coached writers, producers, celebrities and directors on star-studded projects, and worked with every major studio and network. I truly enjoyed hearing his insights about how to sharpen story and development skills and employ advanced principles of structure, character arc and theme to skillfully communicate a story’s strengths and weaknesses. Steven Kaplan: Spoke on the hidden tools of comedy and the romantic comedy. For almost 15 years, Steve has been the industry’s most sought-after expert on comedy. In addition to having taught at NYU, UCLA, Yale and other top universities, he created the HBO Workspace, the HBO New Writers Program and was co-founder and Artistic Director of Manhattan Punch Line Theatre. He regularly serves as a consultant and script doctor to such prestigious companies as HBO, Paramount, DreamWorks, Disney, Touchstone and others. Jen Grisanti: Spoke on how to write a TV pilot that sells and TV staffing and development. Jen is an acclaimed story/career consultant and writing instructor for Writers on the Verge at NBC, a former 12-year studio executive, a blogger for The Huffington Post and author of the books, Story Line: Finding Gold In Your Life Story, TV Writing Tool Kit: How To Write a Script That Sells and Change Your Story, Change Your Life: A Path To Your Success. Kathie Fong Yoneda: Spoke on pitching fantasy and mythic stories and the art of networking. With over 25 years of industry experience, Kathie has worked for such prestigious studios as Paramount, Columbia, MGM, Universal, 20th Century Fox, and Disney, specializing in story analysis and development of live action and animated projects. Her career includes executive positions with Walt Disney TV Animation where she has evaluated more than 18,000 submissions. Pamela Jaye Smith: Spoke on alpha babes, the female hero, and making a memoir mythic. Pamela is a mythologist, writer, international consultant/speaker, and award-winning producer/director with over 35 years in the media industry. She helps enhance stories with the timeless and universal power of mythic themes, archetypes, and symbols. On the vendor side, Alejandro Seri was there as the Corporate Marketing Director for Final Draft, a professional screenwriting software. Alejandro is an award-winning, bilingual screenwriter, director and instructor at the UCLA Extension Writers’ Program. While a nineteen year old UCLA college student and screenplay writer he approached studio executive David Garcia with the idea of starting an alternative film school. With the help of ten additional students, they formed Cyberpix Film School in downtown Los Angeles. Those interested in writing screenplays come back to this event year after year. In fact 96% of this year’s attendees said they will recommend Story Expo 2016 to a friend or associate. Plan now to attend Story Expo 2016, which will be held September 9-11, 2016 at the Westin LAX Hotel in Los Angeles. Take control of your stories by learning the craft, determining in which medium your stories are best told, studying the business of storytelling, identifying and using the tools and resources available to you, understanding how to package and pitch your ideas and scripts, and using social media and other techniques to start and maintain a successful writing career. You can also pitch your scripts and stories to top production companies, agents and managers in the Story Expo Pitching Room and network with peers from around the world. 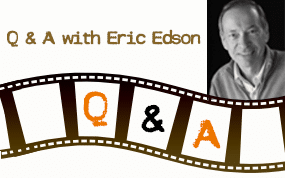 About The Story Solution: Eric Edson’s The Story Solution provides screenwriting tips for those interested in writing screenplays. Acclaimed by many as one of the best screenwriting books, Edson outlines 23 actions used in screenplay writing to create three dimensional heroes. Visit the website at http://www.TheStorySolution.com to listen to audio clips about creating characters. “Like” the Facebook page to receive tips on scriptwriting. Call 818-677-3192 for more information about writing a movie script. Story Expo 2015 was a great event filled with so many lessons learned and a wide variety of insights shared. Screenplay writers don’t just write something and come up with a masterpiece, of course they also have a structure to follow and incorporate with their creativity. For sure, many people will attend this expo next year! It’s great to know that the Story Expo 2015 was a highly successful event. I missed it due to a family emergency. However, I would not miss it for next year! Hearing talks from Michael Hauge, Steven Kaplan and Jen Grisanti would have been a great treat but I know that next year’s Expo would also be as monumental as this one, or even better. The Story Expo brings forth different topnotch speakers, writers and communicators. The concept of the whole thing is definitely very beneficial for screenplay writers. They will be able to absorb so many stuff such as technical tools and also be more motivated to write. Can’t wait for Story Expo 2016! The Story Expo is just like heaven for screenplay writers! It’s a must-attend event for everyone on the field of screenplay writing. Speakers on the Expo are topnotch writers wherein you can have a lot of helpful takeaways. Story Expo 2016 will be jam-packed for sure!